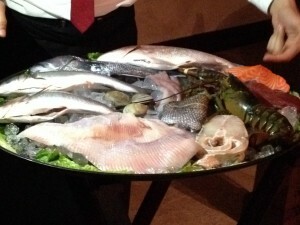 Fresh fish at Dubrovnik. Hard to choose! Last March, my brothers and I traveled with my mother to Israel to celebrate her 80th birthday. This year, to celebrate Mom’s 81st, the whole family went to Dubrovnik. Not Dubrovnik the city. Dubrovnik the restaurant. And although you might assume visiting the coast of Croatia would be more exciting, the meal on Main Street in New Rochelle was so good, it makes me wonder. We started with plates for the table of air-dried beef, prosciutto, olives, cheese, and roasted vegetables – it may sound like a standard antipasto plate, but really was a cut above. I had an appetizer of marinated sardines, and even though the sardines had that citric, refreshing quality of good ceviche, I still found myself glancing jealously at my brother’s grilled calamari, which were nutty, smoky, sweet perfection. 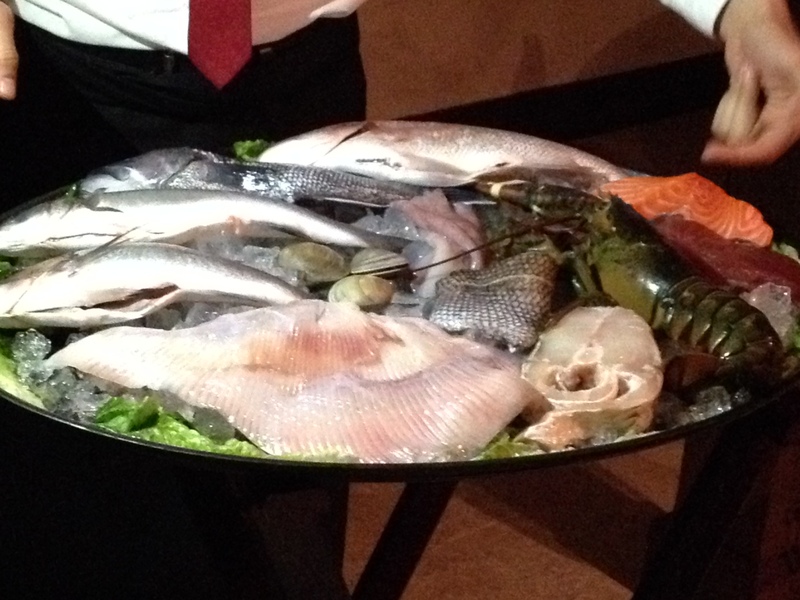 And then the platter of fresh fish arrived for our inspection. Hard to choose. After a little negotiation, Mom and I agreed to split a whole golden snapper. And did I mention the roasted lamb set out for everyone and serving, essentially, as a second entree? The whole feast was accompanied by a procession of Croatian wines. Dubrovnik the city is situated between Italy and Greece (which is a good shorthand description for the menu). Dubrovnik the restaurant is situated between New Rochelle’s central business district and Home Depot. On the outside, less picturesque, perhaps, than the Adriatic coast. But enter the doors and you will be transported – trust me. The space is almost as good as the food.